Go from Unsure to Audit-Secure with HelpDesk Compliance Tool-Kits! Time-saving employment law compliance assistance, forms, documents, checklists, applications, FAQs, support and much more. Employers and HR professionals face two main threats when working to maintain employment law compliance: Time and Money. Our tool-kits, applications and support services Help remedy both of these concerns so you can BE AUDIT-SECURE! Deluxe members will step their way through the law using our assessments and guides for many of the most challenging employment laws you face daily. We are adding new assessments on a regular basis. Need a sample of a policy or procedure? No problem! We have a bank full of samples waiting for you in our Members Only Section. Just choose, modify, and use! Easy Peasy. View a list of our policies and procedures. Our members said they want to sit for the PHR or SPHR, but would like to practice a bit first. We think that's a great idea. So, we took the suggestion and added practice exams to our Suite level Members Only section! In our Members Only tool-kits, you will find over 1300 forms, documents, and handbooks. Our kits include templates along with forms required by many states for various activities. We have compiled hundreds (maybe thousands) of FAQs, Hot Tips, and Best Practices and placed them in each tool-kit. Our database is searchable by virtually any applicable keyword you choose. 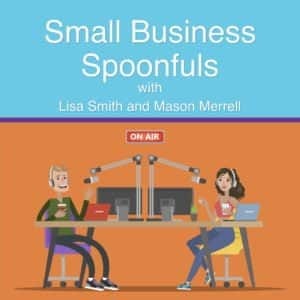 Join Lisa and Mason each week for a lively discussion on the Hot HR Topic of the day and see if Gen-X and Millennial Human Resources professionals agree on the solutions! You have asked us for quick, to-the-point, presentations that give you what you need when you need it. Enjoy your Suite level - Members Only - Popup Micro-Webinars. Our Suite level members enjoy the ability to create and store unlimited employee handbooks. As always, if you prefer to level up with a more customized version, our members get that for FREE! No more digging through outdated government websites. In Suite, you will find hundreds of laws, determinations, opinion letters, fact sheets and many more documents that come straight from the lawmakers. Every day we get questions from our members. So, we have removed the names (to protect the innocent) and posted them for Members Only along with our answers. Looking for a job description starter? Members may search our extensive database of job titles and edit starter descriptions to fit specific needs. If you don't see what your looking for, all you need to do is ask! See what our Starters can do for you! In our Suite level Members Only section, you will find an ever-expanding set of documents, videos, infographics and more which will help you navigate the basics of having employees. We Provide Tool-Kits, Training and Personal Assistance to Employers Who Want to Maintain Employment Law Compliance. Fact checked and updated live daily. We host over 13,000 documents. We really have a lot of great stuff. But, if you have an idea that would make our offerings even better, we want to hear it! Loaded with awesome tools like Policies, Job Descriptions, Employee Handbooks, e-Law Knowledgebase, Streaming FAQs & more!